That was one of the main messages from the broadcaster this week at the first of their 2016 Upfronts held in Sydney. Below is an edited summary from Nine highlighting their 2016 content. 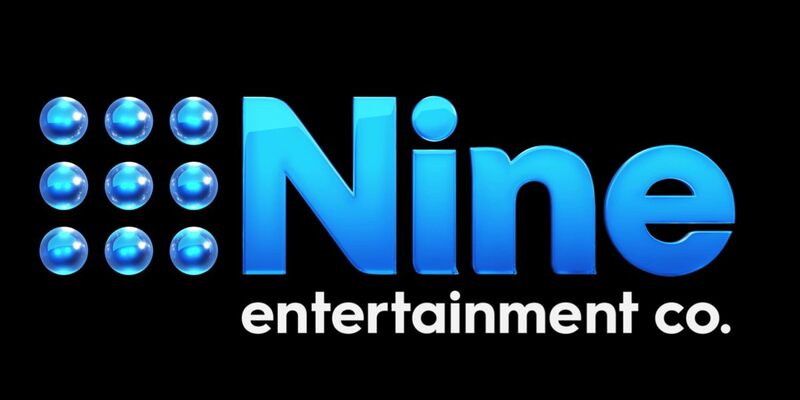 In a boon for the Australian television industry, Nine is spending more on homegrown content than at any time in the network’s history. Michael Healy, director of television for the Nine Network, said: “Our 2016 slate is brimming with a raft of new Australian productions and a swag of returning homegrown favourites. Never before has local content been as important as it is right now. Nine’s new contemporary crime thriller, Hide & Seek, is set in a world where everybody has something to hide, and nobody is what they seem. While investigating a murder, police and immigration officials uncover a network of potential terrorists who have entered Australia under false passports. The enemies of national security are now hiding in plain sight and the race is on to hunt them down before the next atrocity. Hide & Seek is produced by Matchbox Pictures and distributed by NBCUniversal, with executive producers Andy Ryan, Jo Rooney and Debbie Lee, and series producer Stephen Corvini (Schapelle, Devil’s Dust, Better Man). Created and written by Rachel Lang (Outrageous Fortune, Go Girls) and Gavin Strawhan (This Is Not My Life, When We Go To War), production will commence early in 2016 with funding from Screen NSW. • HERE COME THE HABIBS! When a Lebanese migrant family, the Habibs, strike it rich and move to Australia’s poshest postcode, their neighbours know this can only mean one thing – trouble! Mega-rich suburb, old-money mansion, working- class Lebanese migrant family…there’s no prize for guessing the odd one out. The real mystery is, how on earth did the Habibs fund their prized position in Australia’s wealthiest suburb? Pig-headed dad Fou Fou (Michael Denkha) is a dodgy builder, mum Mariam (Camilla Ah Kin) is a housewife, daughter Layla (Kat Hoyos) is an Instagram-a-holic, middle child Elias (Tyler De Nawi) is a uni student, and Toufic (Sam Alhaje) is a wheeler-dealer entrepreneur. Neighbour Olivia O’Neill (Helen Dallimore) is determined to drive the Habibs from her world and enlists her husband Jack (Darren Gilshenan) to help in the quest. Daughter Madison (Georgia Flood) doesn’t think the Habibs are all that bad, especially the youngest son. It’s a case of be careful what you wish for in this conflict-charged, fish-out-of-water story, which brings a fresh comic perspective to multicultural Australia. Here Come The Habibs! is the boldest Australian comedy in decades. It is currently in production by Jungleboys, with executive producers Andy Ryan, Jo Rooney, Ben Davies and Jason Burrows. The series created by Rob Shehadie, Tahir Bilgic and Matt Ryan-Garnsey is directed by Darren Ashton and produced by Chloe Rickard. Here Come The Habibs! is proceeding with the assistance of Screen Australia and Screen NSW. House Of Bond tells the rags-to-riches-to-rags tale of controversial business tycoon Alan Bond from the 1960s-90s. It is the outrageous story of how a cheeky, knockabout Ten-Pound-Pom fought his way from the back alleys of Fremantle to become the richest man in Australia and one of our greatest sporting heroes. “Bondy” was a man with an insatiable appetite for the excesses of life: women, fame, money, crime and everything between. But Bond’s ego, greed and ambition saw him overreach beyond all measure until his empire collapsed, leaving him as the country’s greatest villain with the biggest ever bankruptcy. House Of Bond is the extraordinary story of the man who defined the 1980s by dreaming big and rewriting the rulebook. Was he a hero? A villain? Or a little bit of both? House of Bond is produced by Cordell Jigsaw Zapruder with executive producers Andy Ryan, Jo Rooney and Michael Cordell; producer Paul Bennett (House of Hancock, Great Mint Swindle); and writer Sarah Smith (Winter, Rescue Special Ops, Dripping in Chocolate). It’s mind over matter in You’re Back in the Room, the hilarious new game show that gives contestants the opportunity to win cash prizes while being under the power of hypnotism. Standing between them and the money will be hypnotist Keith Barry, who puts each one under hypnosis to thwart their efforts. Over five rounds, the contestants take part in a series of outrageous games where tasks need to be completed in order to win. Their cash pot accumulates throughout the show before they attempt to win as much as possible in a fast-paced final round where they’ll have to work harder than ever to overcome the hindrances of hypnosis. Television legend Daryl Somers returns to Nine as host. This Time Next Year is an exciting prime-time series showcasing an array of incredible real-life transformations. The show will feature ordinary people on a mission to transform their lives in extraordinary ways over the course of 12 months. They pledge to change their life by “this time next year”. This could be anything from losing half their body weight, finding the love of their life or even becoming a parent. This Time Next Year will deliver these transformations in an instantaneous “time travel” style format. Once each pledge is made the participant will leave the studio, ready to begin their challenge – and reappear just moments later, completely transformed one year on, revealing their new persona. Only then will the viewers at home learn how they’ve achieved it. In this emotion-charged new observational series, viewers will get an unprecedented insight into life behind bars in Australia in the 21st Century. Following offenders starting the first day of their jail sentence and those experiencing their final 24 hours locked up, Prison: First & Last 24 Hours offers a no-holds-barred look at the impact on their family, friends and corrections officers. Filmed in men’s and women’s prisons around the country, the series is produced by the Nine. Love Child, Australia’s much-loved drama, returns to Nine in 2016 for a third series, with a stellar cast including Jessica Marais, Jonathan LaPaglia, Matt LeNevez, Mandy McElhinney, Miranda Tapsell, Ella Scott Lynch, Gracie Gilbert, Harriet Dyer, Sophie Hensser, Lincoln Younes and Andy Ryan. Set amid the social upheavals of 1970s Kings Cross, the men and women of Love Child will face their greatest challenges and most shocking secrets, as well as war and a surprise wedding. The smash-hit Aussie drama finished its fourth series with an average of more than 1.3 million viewers, across all devices, in 2015. Your favourite House Husbands will be back with more laughs and plenty of drama in an all-new series in 2016. The Voice, Logie winner and Australia’s most watched Light Entertainment Program, will return in 2016 for Season 5. Which superstar coaches will take to the spinning red chairs to discover Australia’s next big Voice? Australia’s Got Talent is returning to Channel Nine to celebrate the unique and brilliant from all walks of life and unearth some of the country’s most outstanding performers. International television host and fashion designer Kelly Osbourne, Australia’s premier talent show judge Ian “Dicko” Dickson, the multi-talented Eddie Perfect, and one of our most popular personalities, Sophie Monk, will judge the wacky and wonderful acts. They will be joined by the host of the show, one of Australia’s most successful comedians, Dave “Hughesy” Hughes. This diverse lineup, who have excelled across so many different fields, will be sure to discover outstanding local talent. The original and still the best, The Block, Nine’s Logie Award-winning ratings blockbuster, returns in 2016 for its 12th series. A back-to-basics approach in 2015 saw ratings soar, with the program consistently ranking as the No 1 program with the key demographics. 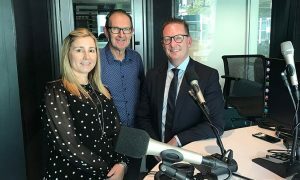 More than $12 million has been given away since the first series aired in 2003, including a record-breaking $3.165 million in this year’s Triple Threat series. The supercharged format in which teams transform two houses in just one week is back for a new season with new couples. In the biggest showdown TV has ever seen, couples hit the road to renovate the homes of everyday deserving Aussies and turn their dreams into reality. The smash-hit new program of 2015, Married at First Sight, which saw four Australian couples meet for the very first time on their wedding day, will return for a second series in 2016. In this extreme social experiment, three top relationship experts pair eight brave singles, using a mix of neuroscience and psychology to try to create four perfect matches. Those who make it through the wedding will move in together and live as man and wife for one month. But what happens when the honeymoon is over and real married life sets in? Australia’s most heartwarming and successful television dating program, The Farmer Wants a Wife, returns in 2016 with a new batch of lonely farmers: Farmer Lachie from NSW, Farmer Adam from Victoria, Farmers Jedd and Julz from South Australia, Farmer Matt from Western Australia and Farmer Lance from Queensland, all on a quest to find everlasting love on the land. With a new host, country music star Sam McClymont, will this year’s farmers join our past roll call of successful matchups, which boasts eight marriages, ten babies and three long-term relationships? The only place you will see all-new episodes of the world’s most watched comedy program is on Channel Nine. We start the year with first-run episodes of The Big Bang Theory Season 9. Then, later in the year, we’ll bring you all-new, fast-tracked episodes of Season 10. Sir David Attenborough is back on Nine in 2016 to narrate a landmark natural history series about the relationship between predators and their prey. The Hunt will showcase rarely seen animal behaviour – hunting failures – revealing the difficulties predators face in catching their prey. Survival depends on many skills – speed, stealth, stamina, strength, ingenuity and teamwork – but it’s how these are applied that makes the difference between success and failure, life and death. Featuring more than 150 original interviews with some of the most celebrated recording artists, producers and music industry pioneers of all time, Soundbreaking charts a century’s worth of innovation and experimentation. It offers a behind-the-scenes look at the birth of brand new sounds. Another award winner, The Embassy, returns to Nine in 2016. The Embassy will feature more exclusive access to the diplomats coming to the aid of Australians in crisis abroad. Season 2 takes us to the frontline as our embassy staff serve to keep us safe and out of trouble in stunning holiday locations across Asia. In Thailand, Vietnam and Laos, we join them as they respond to major catastrophes, hilarious escapades, devastating accidents, love gone wrong and everything in between. Sometimes it’s as simple as being in the wrong place at the wrong time. And sometimes miracles do happen. Kings Cross ER returns in 2016 with an unflinching look inside the hospital emergency room that covers Australia’s most notorious nightclub strip. Season 4 of the fast-paced observational documentary follows an extraordinary team of doctors, nurses and specialist consultants at St Vincent’s Hospital, led by long-serving Emergency Department director Gordian Fulde, as they pull together to deal with the frenetic pace of Australia’s most unique emergency ward. Channel Nine’s provocative new panel show, The Verdict, hosted by Karl Stefanovic, will return in 2016 featuring more lively and entertaining discussion on topics fuelling debate around the country. Inside Story profiles the courageous, the inspiring, the controversial – remarkable Australians with extraordinary stories. These are the people at the centre of issues and events that touch us all. From the heartwarming to the heartbreaking – human dramas, adventures, mysteries, medical miracles and real-life crime – these are the stories that shock, entertain, intrigue and challenge. Leila McKinnon returns to host a new series in 2016. BRAND NEW LOCAL REALITY PRODUCTION ON 9GO! The Rookie is an exciting new reality series that will give one lucky amateur player the chance to turn pro with one of the big NRL clubs. Top rugby league greats Brad “Freddie” Fittler, Mark “MG” Geyer and Adrian “Lammy” Lam will be putting 25 hopeful rookies through their paces in a series of weekly captains’ challenges, followed by matches against a tough array of opposition. This will culminate in a special live broadcast of the show next year where all 16 NRL clubs have the opportunity to “draft” the eventual winner. The Rookie will air on 9GO! in 2016. FIRST RUN ANIMATION ON 9GO! Catch your favourite animation programs, including brand new series of Adventure Time, Regular Show, Ben 10 and Teen Titans Go! – all on 9GO! in 2016. Series 10 of the hugely successful show created by Simon Cowell will air on 9GO! in 2016. Britain’s Got Talent gave Susan Boyle to the world. Which next international superstar will they unearth in 2016? All new programs to screen on 9GO! in 2016 include Baggage Battles, Dog and Beth on The Hunt, Top Gear: Best of British, For The Love of Cars, Cold Water Cowboys and Bad Robots. The Middle, Mike & Molly and Anger Management will return to 9GO! with brand new episodes, along with Auction Hunters, UK and US versions of Storage Hunters and The Tattoo Shop Series 2. In 2016, 9Gem will feature first-run episodes of much-loved dramas Murder in the First, Proof, Lucan, The Widower, Shetland, Lady Chatterley’s Lover, Major Crimes and Rizzoli & Isles. 9Gem will also screen some of the world’s finest documentaries and factual programming, including Death Row Stories Series 2, Sparks of Invention, See No Evil, Who Do You Think You Are USA, Can’t Pay? We’ll Take it Away, Southern Justice, Emergency on Our Streets, Secret Dealers, Air Ambulance ER, Catching History’s Criminals, Nature’s Weirdest Events and the best of David Attenborough – Frozen Planet, Life in Cold Blood and Blue Planet.